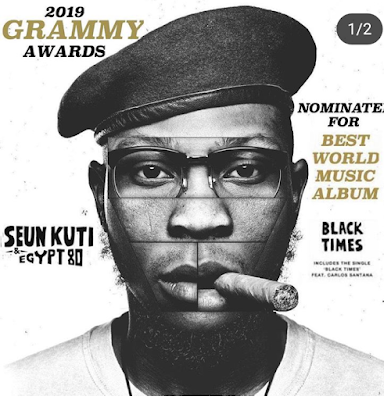 Nigerian Afrobeat Artist, Seun Kuti has apologized to his fans over his failure to perform at the prelude event of the 61st Grammy awards. 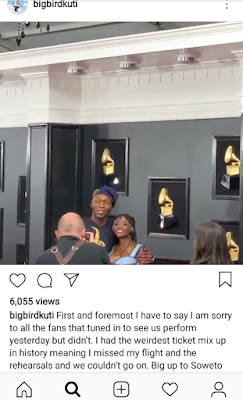 The son of the Abami Eda and leader of the Egypt 80 band had been announced alongside Mali's Fatoumata Diawara to perform at the Grammy Awards Premiere Ceremony. 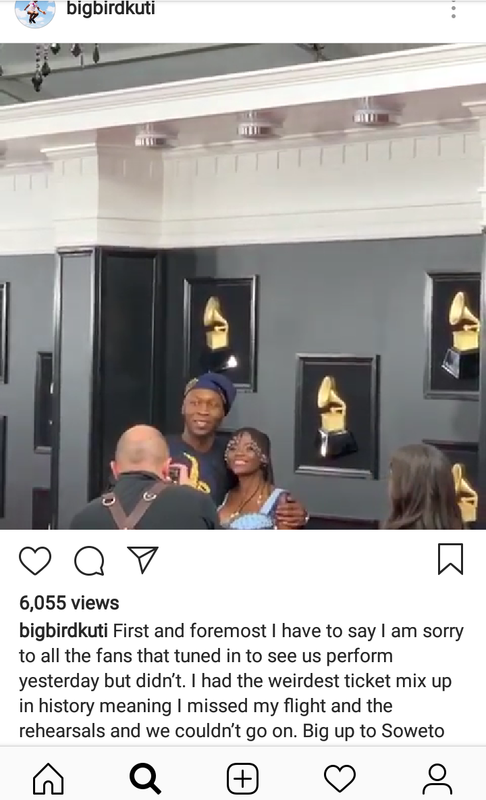 Seun in a post on his Instagram page on Monday, February 11, 2019, however apologized to his fans who had celebrated the announcement and were looking forward to him at the event. First and foremost I have to say I am sorry to all the fans that tuned in to see us perform yesterday but didn’t. I had the weirdest ticket mix up in history meaning I missed my flight and the rehearsals and we couldn’t go on,'' he posted.